Cayla Davis-Clark is a 9 year from Chester, PA who has been involved in the Foundation for the past few years, including being apart of our 2018-2019 Warrior Guides program. Read Cayla’s harrowing story of saving her grandmothers life, and how her mother attributes her involvement the Foundation to her brave actions. Megan has been involved with the Foundation since the beginning as she was in Andrew’s graduation class at Henderson High School. She has continued to stay active with the Foundation over the years, volunteering her time whenever she can. Read Megan’s story about the strong impact the Foundation has continued to have on her life, 9 years later. Christopher DiMatteo reached out the Foundation and expressed how much his participation in the Foundation events through out his time in high school had an impact on his life. Read Chris’s moving letter to the Hicks Family and see how the Foundation has changed his life. Read Thomas & Jaylon’s story published as a People Helping People feature in the November 2018 issue of West Chester Living Magazine. Like many Chester elementary students, A’Lasia first became active with the Andrew L. Hicks, Jr. Foundation by attending an “Open Event.” In March of 2015, she boarded a Foundation bus headed for Ice Line in West Chester where she would take part in Learn-ToSkate, one of many Open Events the Foundation holds throughout the year. These events provide opportunities for Chester children to experience new places and activities in safety and with encouragement. A’Lasia went on to enjoy Open Bowl, and Camp Lionheart. When she became more familiar with the Foundation and felt safe and comfortable with the high school students who volunteer, she joined Warrior Guides and has been in that program for the past year and a half. CISV is a worldwide organization that believes peace is possible through friendship, and that a real difference can be made by starting with children. When CISV approached us last summer seeking a child from Chester to attend its Village program, the Foundation could see great potential in A’Lasia and was able to offer her an opportunity to attend CISV. This four-week program for 11 year olds takes twelve delegations of two boys and two girls, each from a different country, to live together for four weeks. 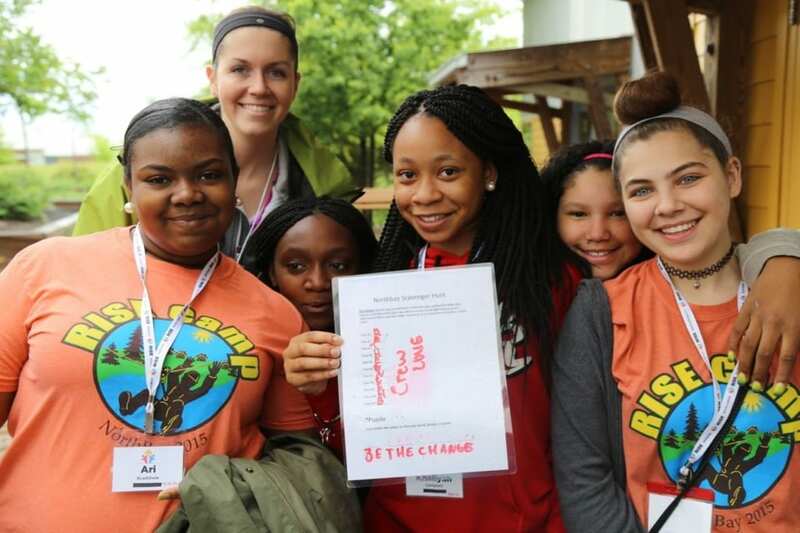 A’lasia’s Village was in Ohio, and its mission was to share each child’s culture while learning about those of the other delegations in the Village. A’Lasia became close friends with the international delegates and had an unforgettable experience of making friends with children from all over the globe. We hope that A’Lasia will make life decisions directly related to her experience in the Village, and will maintain many of the friendships that she made as well. Natalie Deacon is a 2013 graduate of Henderson High School. She got involved with the Foundation almost immediately after it was founded in 2010, during her sophomore year of high school. The Foundation first interested Natalie when she saw it as an opportunity to serve alongside some of her classmates. She also liked the idea that the Foundation was about breaking down barriers relationally, socially and racially. She saw first hand the way it could really impact the lives of those living in both Chester and West Chester. Through the Foundation, Natalie has come to learn so much about the importance of local service. She recognizes that although there is still work that needs to be done around the world and in different parts of our country, there is also a great amount of work that needs to be done right here. The Foundation has opened her eyes to this reality and helped her to realize that serving locally is something that she wants to continue to do for the rest of her life. Natalie’s biggest take-away from her time with the Foundation is that love can truly move mountains. While there is an incredible amount of hard work and planning that goes into every single one of the Foundation’s events, Natalie has come to recognize that it is not the planning that changes lives, but the small, consistent acts of love and caring that are exchanged between the children of Chester and the high school students of West Chester. Natalie has also come to know that Jesus has impacted lives through the Foundation, whether people know it is His doing or not. He is the one that holds it all together and makes the Foundation so impactful. Serving with the Foundation has taught her to trust that God will move even in the most challenging places. Natalie is currently in her senior year at Lynchburg College in Virginia studying exercise physiology. She is a member of the women’s soccer team. After graduation, she will be staying at Lynchburg College for two more years, serving as a graduate assistant soccer coach while getting her masters degree in non-profit leadership studies. Jadyn, a Chester resident, is currently a ninth grader at the Woodlynde School in Strafford, PA. She first joined the Foundation when she was in the 3rd grade. She was first a part of Camp Paradise when her dance group was invited to come to camp. Jadyn instantly felt welcomed and felt as if she got the chance to get away from the challenging conditions that she was used to. Jadyn says the environment of the Foundation made her feel at home right away. She immediately wanted to be a part of what felt like the Foundation’s “family.” When she heard about and visited different places, such as West Chester, it helped her realize that she did not have to limit herself. The Foundation made her realize that she could be anything she wanted to be. The Foundation has made Jadyn stronger and more confident in herself. She has learned to stand up for people, for herself and for her community. She says that she now has the skills that she would need to help change and impact someone’s life, just as the Foundation has done for her. In school, Jadyn is able to to lead lessons in front of her class and she has become a recognized leader. Jadyn’s favorite part about being involved in the Foundation is constantly connecting with people and getting out of her comfort zone. She looks back on when she first started in the program and remembers being quiet and not interacting much with anyone else. Since she goes to school outside of Chester, she did not know too many people in her home town. Through the Foundation she has developed relationships with everyone in the community. Jadyn says meeting the Hicks’ family has changed her life and she will always remember all of the opportunities the Foundation has given her. Jadyn’s favorite hobby is dancing because it makes her happy. Someday Jadyn hopes she can find a career in which she can help people, specifically minorities by bringing opportunities to those communities. Jadyn says as she grows up and eventually graduates from the Foundation, she plans on coming back and helping in any way she can! Lauren Andrews is a 2014 graduate of Henderson High School. She got involved with the Foundation immediately after it was founded six years ago, in 2010. For Lauren, the Foundation was a special way for and her family to remember Andrew and carry on his legacy after his passing. Lauren and her family have been friends with the Hicks’ for years as her older brother Joey played travel soccer with Andrew since they were in elementary school. Lauren’s time with the Foundation has been a guiding force in her life. She served all four years of high school and continues now as a college sophomore. Lauren immediately recognized the need in Chester and after working with so many of the children and families, she has become a more service-minded individual. Lauren has learned how to live life selflessly while serving others. She has come to learn how to stand against social injustices, just as Andrew did and that one person can make a huge difference. Lauren is currently in her sophomore year at Towson University in Maryland studying elementary education. After graduation, she plans on teaching elementary school with the main goal of providing all children access to quality education. Her time with the Foundation has made her much more confident in following her dreams of becoming a teacher. Emmanuel Herrera Ocampo got involved with the Foundation in 2010, when he was invited to an event by a Henderson High School student. After growing up in Coatesville, Emmanuel immediately loved the idea of the Foundation because it reminded him of a similar organization that helped him get focused on his education. He wanted a chance to give back, and the Foundation gave him that opportunity. 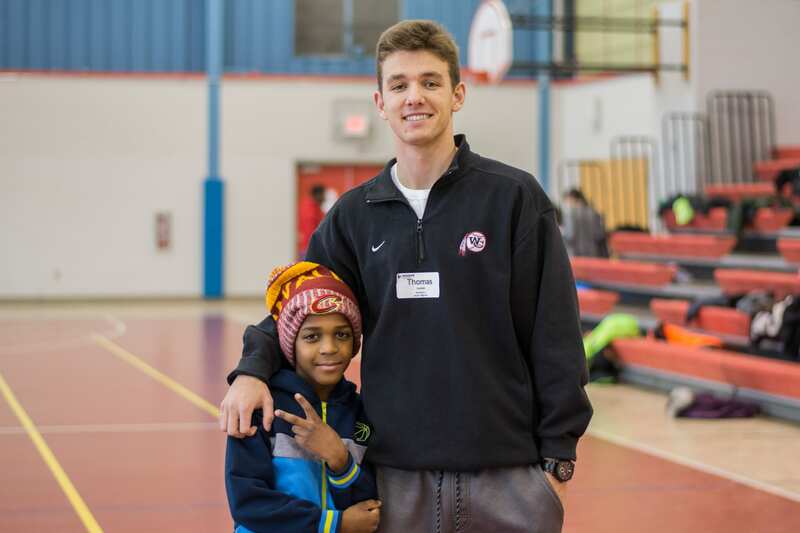 Upon first getting involved, Emmanuel saw his time serving as a way to help through community service. It was not until his first Camp Paradise that he realized the Foundation was based and focused on Jesus and the work He was doing in the city of Chester. After his first year, Emmanuel understood that simply because Andrew had passed away, it did not mean his work was done. Through the Foundation, Emmanuel has seen how Andrew’s legacy is continued and his vision is coming to life every single day. The most important take away Emmanuel has from the last six years with the Foundation is love. He says he can best express this love from the Bible verse John 13:34-35. It reads, “So I give you now a new commandment. Love. Love one another as I have loved you. Your love for one another will prove to the world that you are my disciples.” Emmanuel says even during the long hours and hard work, the love between the children of Chester and the students from West Chester is always evident. Emmanuel has loved watching the children grow up and develop into people that can really impact their own city. Emmanuel has seen first hand the impact he has had on individual children. In his first year as a counselor at Camp Paradise he had a child named Quimon (more affectionately known as “Q”) in his cabin as a camper whom he looked after. Years later, Emmanuel became an adult chaperone and Q came back as a counselor in his cabin. The gratitude Emmanuel felt when he saw the fruit of the organization first hand was truly amazing. 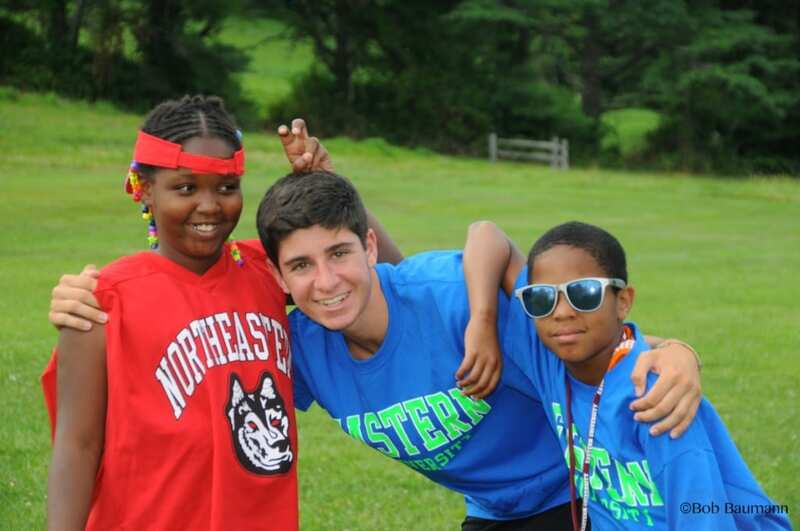 He saw the impact the Foundation had on Q from the time he was a camper to the time he became a counselor. Emmanuel is currently a junior at Immaculata University in Malvern, PA. He is studying history and political science, with the hopes of either teaching or attending law school after graduation. Dyvne Lee is a Chester sixth grade student involved in the RISE program. Dyvne got involved when her teacher gave her an application for Camp Paradise at the end of second grade. She decided to go and now looks back on that summer as the best summer of her life. After the summer at camp, Dyvne wanted to get involved and became a Brave in the Warrior Guides program during third grade while she attended the Widener Partnership Charter School. 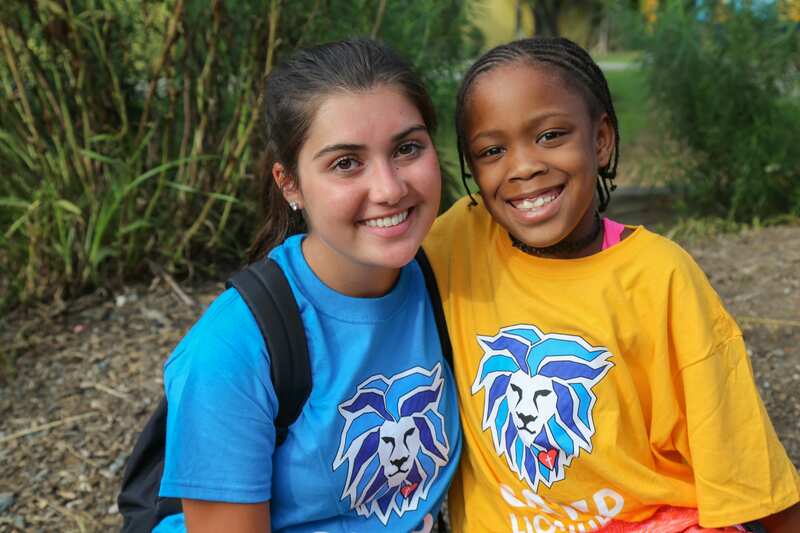 She has been a part of the Foundation since and goes back to camp every summer! Dyvne’s time with the Foundation has helped help to mature and focus on her future. She dreams of becoming a fashion designer and learning leadership skills in RISE has helped her see how that dream can become a reality someday. Dyvne’s father, Ron, has seen Dyvne become more independent and a leader. He says the opportunities she has had to observe and interact with people from areas that are different from her own have had a wonderful influence on her. She has learned different life skills and has the opportunity to experience new things regularly, while meeting new people and seeing various leadership positions and careers. Aside from the life skills Dyvne has learned, she has also had the opportunity to make some very special lifelong friends right in her hometown of Chester. She met another RISE student, Ashanti, this past Mother’s Day while away at the RISE Spring Retreat. The two had something in common in that both of their mother’s passed away when they were very young. They met on Mother’s Day while the group was praying for their mothers and Dyvne became upset because she was missing her mom so much. Ashanti was there to comfort and join her in prayer. The two girls immediately clicked and helped one another with their individual losses. Over the last few months, Dyvne has spent every Sunday with Ashanti and her grandmother. The three of them go to church and spend quality “girl time” together. Dyvne’s faith was so inspired from going to church with Ashanti that she decided to get baptized this summer. Ashanti and Dyvne have become so close that now, they call each other sisters. In her free time Dyvne loves to model and play soccer.